Visitors to New York City arriving by plane have a number of options open to them; they can either fly to John F. Kennedy International Airport (JFK) or LaGuardia Airport (LGA), both in Queens, or Newark Liberty International Airport (EWR) in New Jersey. LaGuardia primarily serves domestic destinations, whilst Kennedy and Newark each serve both domestic and international destinations. Visitors can reach Manhattan from all three airports by using taxis, buses, subways and/or trains. Once in Manhattan, most people jump on the subway, a great app for which is the New York Subway Map which you can download using your prepaid sim card USA. However there is also a great bus network, information about which you can find here. New York’s yellow cabs are the main mean of transportation in the city. You can get one easily with this handy app on your phone using your travel sim card. You’ll be spoiled for choice when it comes to choosing where to rest your head in this popular tourist destination, which is crowded with tourists 365 days of the year. There is something for every taste, and every budget. Trip Advisor apps can help you choose, or another option is to stay in an apartment, either directly via the owner or with an agency, of which there are many. We advise you to ring up ahead of time using your pre paid sim card USA as many places tend to be fully booked quickly. If you do not have a pre paid sim card for America, you can easily order one online with TravelSim and it would be with you shortly. 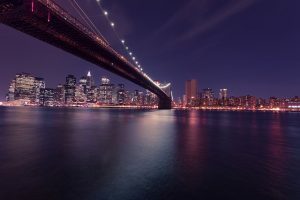 New York is known as the City that Never Sleeps so when it comes to finding a good restaurant at any time of the day, there are lots of guides to help you. The Time Out Guide to New York has lots of ideas, whilst you can also consult The Official Guide to New York. Another useful search engine, which you can trawl through on your mobile using your pre paid USA sim card is the New York City Experts. New York has one of the liveliest entertainment scenes in the world: Broadway shows, music concerts, art exhibitions are just to name a few of many activities for you to choose from. While away the hours walking in Central Park or take a boat trip to the famous Statute of Liberty. Alternatively, try out any one of the incredible art galleries mentioned on this app Museum a GoGo NYC.